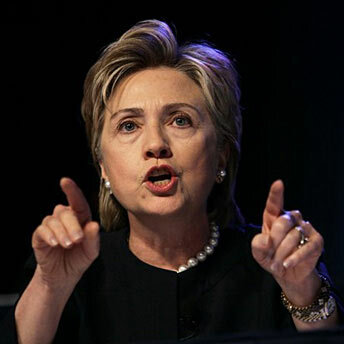 Hillary Clinton a candidate for Supreme Court? Is Hillary Clinton a possible candidate for the Supreme Court vacancy left by the imminent departure of John Paul Stevens? Speaking on "Good Morning America" today, Republican Sen. Orin Hatch of Utah added Clinton's name to the list of possible contenders, stating that her name was definitely surfacing. He also stated that she would have an excellent chance of being confirmed if she ran. Clinton, a lawyer, has never expressed public interest in the job, but she would certainly be an interesting pick for President Barack Obama if he decided to go that way. Clinton has made it clear she will not serve beyond one term as Secretary of State, and a Supreme Court position would allow her to base herself in Washington and keep a powerful job. However, insiders say it's considered unlikely that she would go for the job.